Quadruple Labs: Will you depend on your children during old age? This is the question that I want to ask the youth today. Being in the profession that I am, I get every occasion to interact with a variety of people from different age groups, different backgrounds, different professions, different qualifications and other diversities. Often are the conversations which involve a lot of complaints. While the elders are busy blaming the youngsters, vice-versa is also equally true. In order to bridge this gap called the generation gap, we, mentors aim to resolve such conflicts and help the youth realise the kind of sacrifices that the parents have done for their sake. We motivate the youth to work towards fulfilling the dreams of their parents, as well as, that of themselves. We definitely guide them to take care of their parents during their old age and not be like those disloyal children who put their parents in the old age homes when they grow old. We guide the same youth to be independent and not to depend on anyone but themselves during every phase of life. That's where this question struck my mind. In the age old days, during the reigns of kings and queens, life was divided into 4 phases. The final phase was called the Vanaprasthashrama. This was the time when the couple would be old enough not to carry out the functions of the kingdom or business, by which time their sons or daughters would have got settled in their families with kids and be working to take care of their individual families. 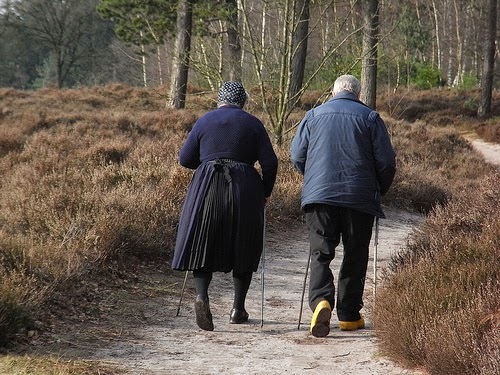 The old couple used to handover all the responsibilities of the kingdom or the business in the hands of their children and move to forest to spend the latter years left in their life in peace and tranquility of the forest performing meditation and penances. There was no question of old age homes at those times as the old parents themselves willingly moved away into the forest. There was no coaching for children to take care of their parents until their demise. Children were only coached to respect parents and serve them well. As a person grows in life building his career and life with his life partner and kids, he cannot be expected to give the same attention to his parents which he could give while he was still single and yet to settle in his life. As years passed, parents had only the motto of guiding their children up to the point where they could take care of their individual families and career. Parents would only yearn for the times that they could play with their grandchildren and would never expect their children to take care of them, and hence save sufficient wealth which would take care of them till the sunset in their lives while they handed over the rest in the hands of their children. Once these two desires were fulfilled they would proceed to Vanaprasthashrama without any worries. Off late, the parents of the modern century have forgotten about such ways of life. They don't even know the meaning of Vanaprasthashrama. Unfortunately, they can't even go and settle in forests with the present government rules and regulations of protecting the green belt of the earth. In the modern world, family love and care are being considered as give and take business. Since your parents took care of you when you were a child, you need to take care of them when they get old. This is one of the classic statements used. Let's think logical; taking care of a child and taking care of old people; can both of them be the same? Impossible! There's a huge amount of difference in every aspect. The younger couples have to take care of their parents amidst nagging spouses, crying children, job/business tensions, personal health issues, rising inflation and every other factor. It's not as easy as you take care of a child when it's born during which the couple is also young and energetic, just at the beginning of their careers and parents still working few years away from retirement and guiding the young couple at every step, and being the backbone during times of emergency. As parents, they educate their kids to the best extent so that they find high paying jobs and get settled in foreign countries, or at least foreign cities. Once these are accomplished, the children are unable to free themselves from the lock of these 9 to 9 jobs and the financial commitments due to which they cannot devote sufficient time to their parents. After a decade or so, parents start complaining as to how much they loved their children and provided them with all the facilities to have the best life, and now, the same children are settled in abroad leaving them in old age homes. Relatives and society start blaming the children for not taking care of parents and the children also are unable to explain the situation as it would sound only selfish to others' ears, while they are working hard for their children's future. The older generation is unable to understand why their children are unable to take care of them and the younger generation is unable to understand or explain why they aren't able to do the same. It's getting into a cyclic loop of blames tossing from one side to the other. Let me share an example here. 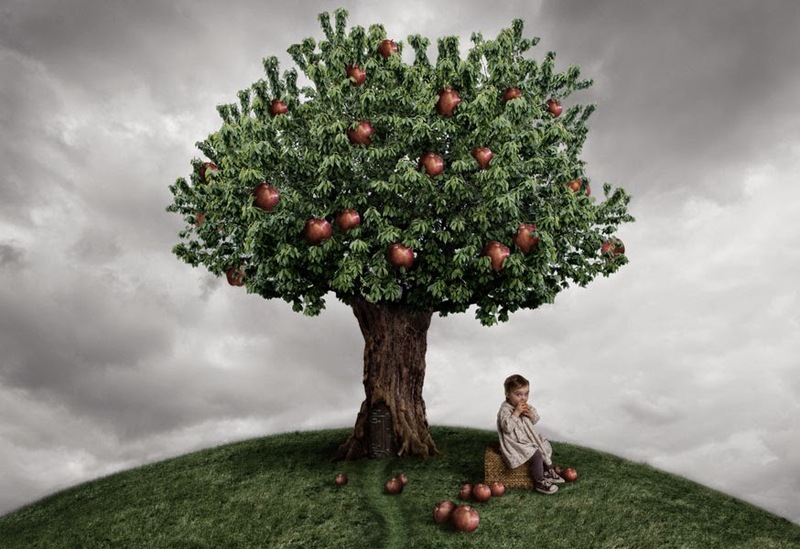 An apple tree grows from an apple seed into a plant, and then, spreads its roots sufficiently enough in order to strengthen its stem, grow its branches and become a tree. Then, it starts bearing fruits. After the fruits ripe, they are either taken by man or some animals. The tree, after few years, gets old, loses all its strength and dies away into the same soil. Never does a tree expect the apples it bore to come back and take care of it during its old age. It bore fruits all its life only for the world around to use them. Some of these apples satisfied someone's hunger, while some of them were used to grow apple orchards somewhere far away. We got to learn from this tree. Your children are your offerings of spring seasons to the world, and hence they are called as offsprings. Spring and "springtime" refer to the season, and also to ideas of rebirth, rejuvenation, renewal, resurrection and regrowth. The tree takes care of the apple until it ripens. Likewise parents need to take care of the children until they are mature and can take care of themselves, and then let them free. The apple will either fall to the ground when it is completely ripe and will know when the right time has come or it will be taken by someone who needs it. Similarly, children will learn the right age to get independent and stop being dependents on their parents or will be taught by an outsider soon to get independent. This is life! So, I would request the new age parents and upcoming parents, rather would-be parents of the present generation to erase the hopes of your children to take care of you during your old age. Save enough while you work right from day one for the last few years of your life which you might want to spend in solitude with your life partner. Let you be the boon in your children's lives rather than being a burden in your old age and their working times. At the same time, remember that your parents might haven't planned so much for their future. The responsibility of taking care of them still lies on your shoulders. You are in the right generation with the best technology around to plan how you will balance all the responsibilities of life simultaneously. Might be your next generation might not have the same patience or wisdom like that of yours. Hence be the best children for your parents and become the best parents for your children.